Looking for interesting dishes like Durian Fried Rice, KL Tai Lok Mee or Seafood Chilli Crab Noodles? Escape Restaurant & Lounge serves up these signatures and offers an “Interactive Kitchen Food Spread” for you to eat your heart out! Situated on the first floor of One Farrer Hotel and Spa, Escape restaurant is just a few minutes walk from Farrer Park MRT. The kitchen serves up both International and local cuisines and also offers an a la carte menu in addition to it’s lunch & dinner food spreads. 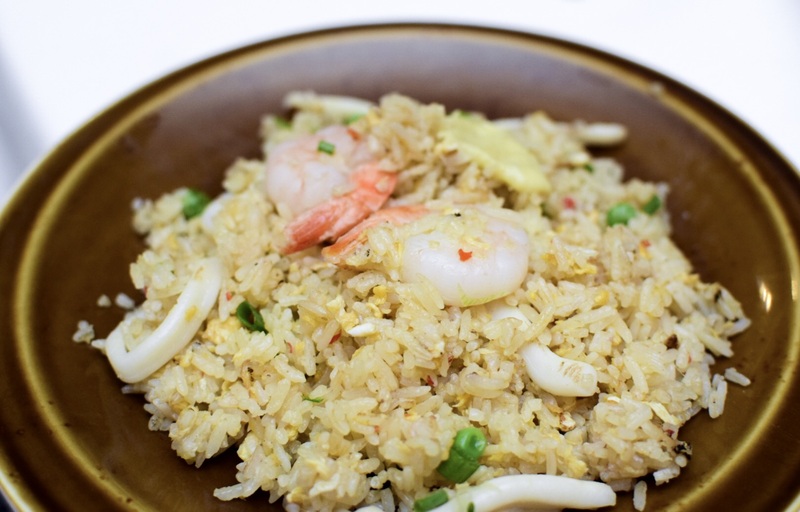 This fried rice includes an assortment of seafood and is presented with a dollop of durian puree atop the rice. Before you enjoy this, make sure to mix the durian with the rice so that you get a faint aroma of durian throughout your dish. The fried rice is very mildly spicy. 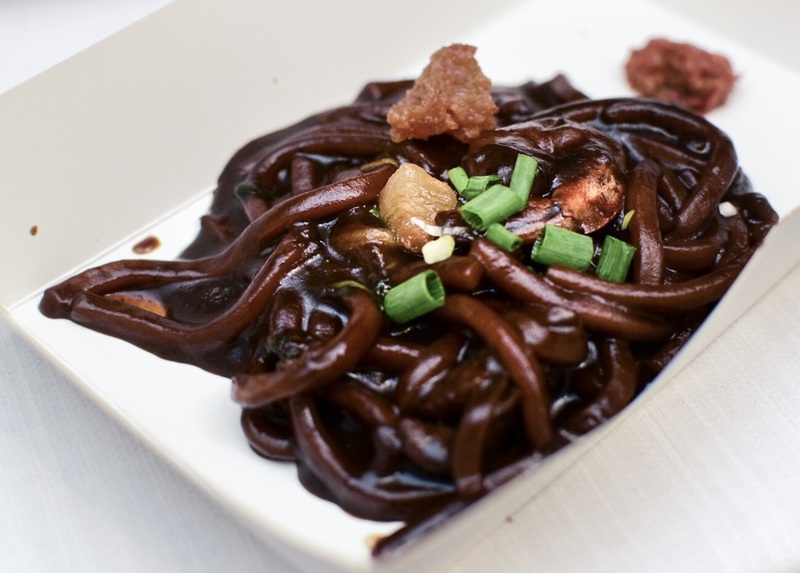 If you like your noodles dark and sweet, this is for you. We enjoyed the texture of this thick noodles that was served with prawn and fried pork lard. Best when eaten with the accompanying chilli sauce! 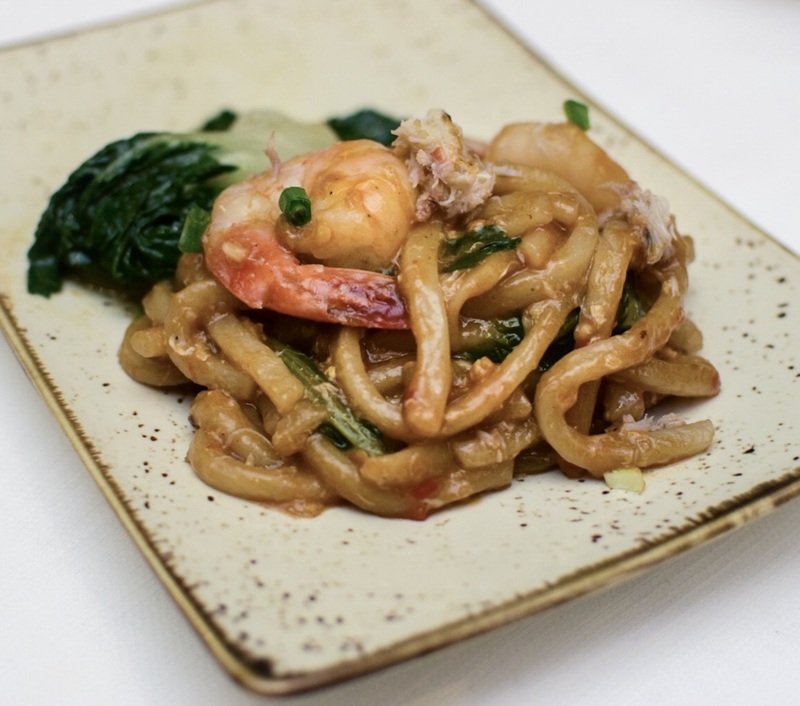 This noodle dish is also served with prawns and bits of crab meat. Not super saucy, but enough sauce so that each strand of noodle is well coated with mild seafood flavour. Not a very spicy dish, so remember to grab some extra chilli if you like your chilli. On 24th and 25th March ’17, One Farrer Hotel & Spa will holding a “Food Street” event where you’ll get to try Escape Restaurant’s signature dishes plus more goodies like Satay, Assam Laksa and other local favourites. Want to win a booklet of vouchers to use at the Food Street event? Check out this Instagram post… (contest runs till 22nd March ’17). From 29th March ’17, Escape Restaurant & Lounge will be launching their Teochew Porridge Buffet suppers. 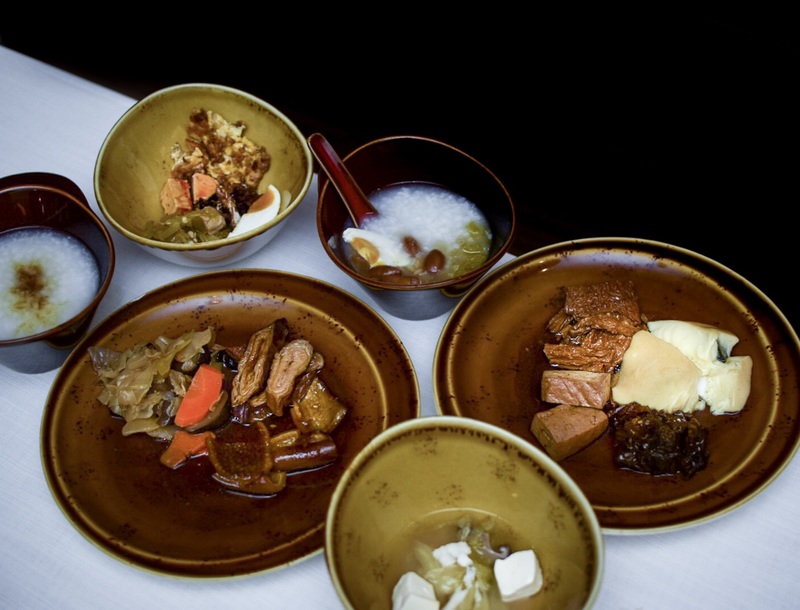 For just $16++/pax, enjoy the Teochew dishes your familiar with from 11pm–3am. The restaurant is open 24-hours, 365 days! So if you’re ever looking for a meal in the middle of the night, you know where to head to.